Thanks to being off last week for spring break, I was able to get several projects done. One of which was the three cards for the this month's Cards, Etc. workshop. This month I will start having my monthly card class on Monday evenings, due to customer feedback. This month will be on Monday, April 15th, beginning at 6 p.m. So if you can make it, I would love to have you join me. 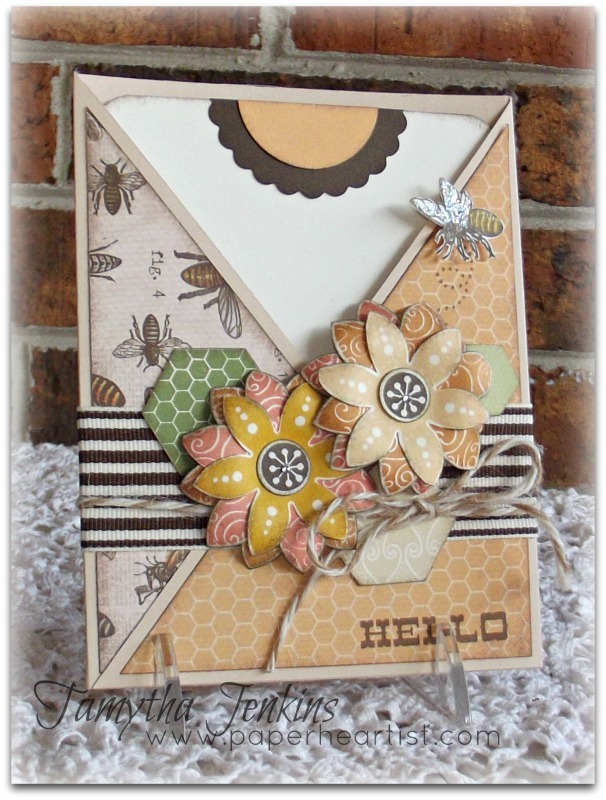 Card #1 will be a vertical Criss cross card that uses Close To My Heart Buzz and Bumble paper and Hello Blooms stamps. I learned how to create this card after watching a video by Beate Johns. Flourishes - Use two or more ribbons together. Card #2 is a remake of this card, but using a different pattern paper and embellishments. Card #3 can be seen here. 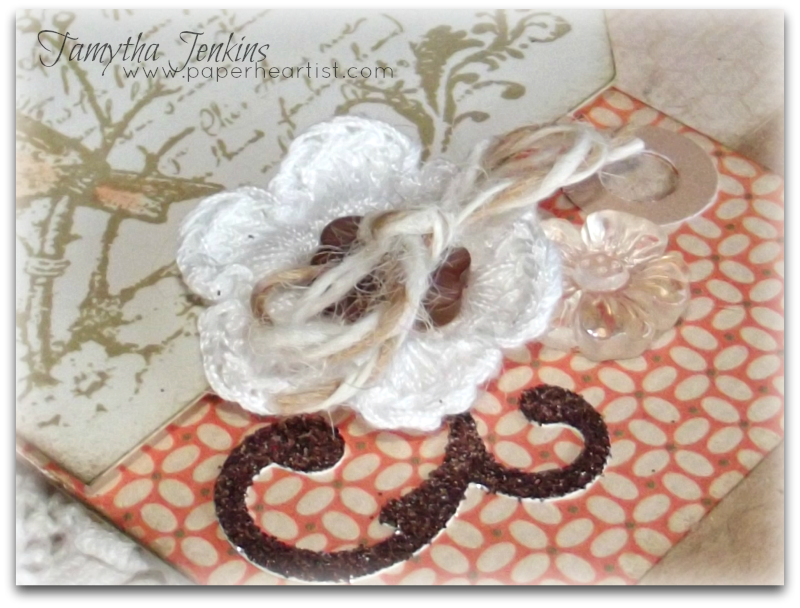 Includes all materials to make the month's projects. You leave with 3 beautiful, hand-made projects. Includes everything in option 1, PLUS a $20 credit towards CTMH products* purchased the day of the workshop. Includes everything in option 1, PLUS a $30 credit towards CTMH products* purchased the day of the workshop. PLUS with a 6-month commitment, receive a free stamp set AND a minimum $25 in select hostess credits once during the 6 month period. *Credit applied towards product only. * Adhesive of your choice (i.e., tape runner) for adhering papers. I usually suggest bringing both a wet adhesive and a dry adhesive. * Prepayment is required to reserve your spot. * All necessary tools, stamps, inks, embellishments, paper, etc. are provided. * Light snacks and drinks (soda, tea, water, coffee) are provided. * Refunds are not available for cancellations made after April 10th due to supplies being cut/prepared. However, supplies will be available for pick-up. Those selecting options 2 & 3 can still receive their respective product credit if orders are received prior to or the day of the workshop. Beautiful cards Tamytha!! Love the colors! Gorgeous flowers. Thanks for joining us at PTT. Beautiful cards. I love the robin. Reminds me of spring. Thanks for joining us at Twisted Tuesday Challenges. Beautiful card, absolutely love them. Thanks for joining us at Loves Rubberstamps this week! 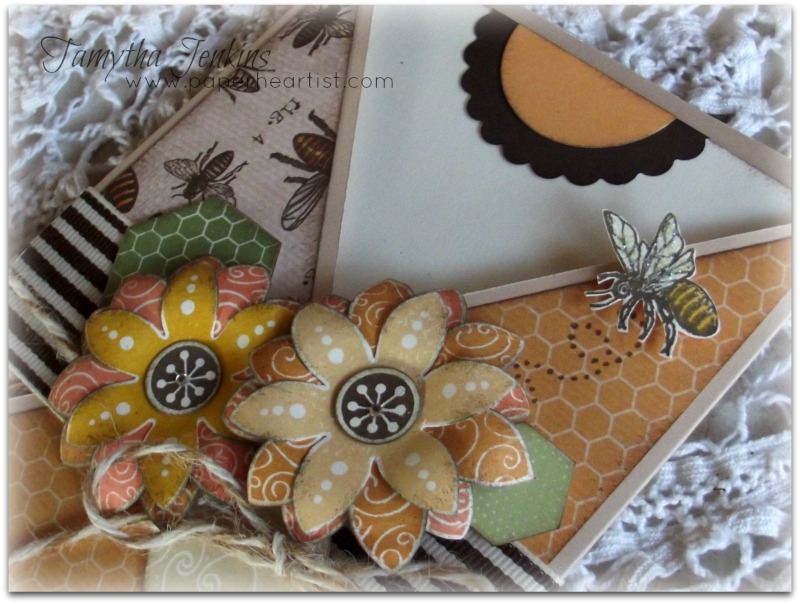 I adore the patterned papers you used on this card, so very sweet! Thanks for playing along at Use It Tuesday! Lovely creations . CTMH papers and images are beautiful . Thanks for sharing on Make it Monday . Wow, these are both so fabulous. Thanks for playing with us over at Loves Rubberstamps!!! Be sure to watch for our Blog Hop this Sunday! What stunning cards! Love the design on the first one. T hanks for using your hoarded paper and playing along with us at UIT! These are very beautiful cards. I love how you did the flowers on the first one, and I like the use of the various tags on the second one. The crochet flower is a nice touch too! Thanks for joining us at Twisted Tuesday. I love both cards. I love the pocket card and the papers you used. I saw this card on MIM. Great idea and lovely flowers. The tag card is an awesome way to use those tags. Love this too. 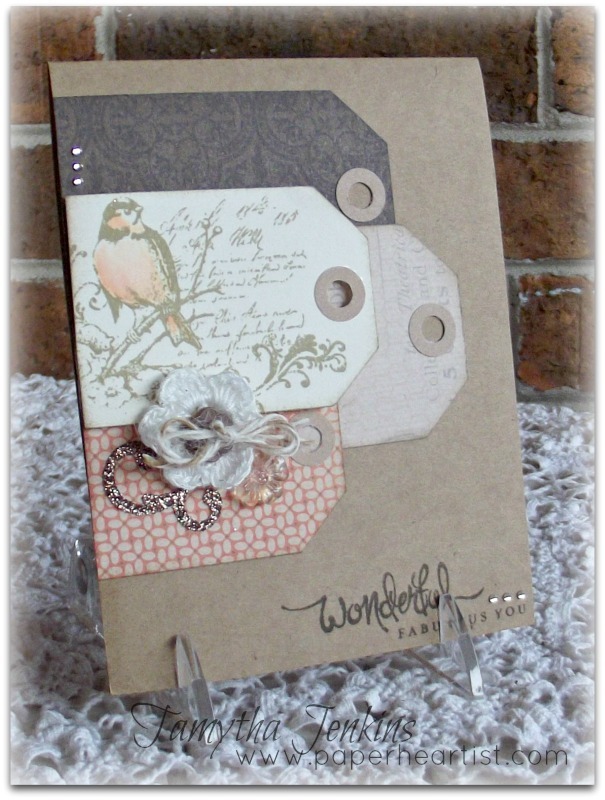 Your card workshop projects are lovely! I esp like that criss-cross card with the multi-layered flowers, and the hexagonal leaves. I have a whole packet of those white crocheted flowers...trying to think what to do with them (tried dying them--not too bad) but yours looks great with the floral button in the middle. Thanks for your comment on my Ombre card. Wowzer. I love these. Your first is my favorite!Thanks for sharing at Loves Rubberstamps! May's Stamp of the Month...."Pinwheel"
Ready for some "Pun Fun"?